Select the Azure Database for MariaDB instance you wish to modify. On the resulting page, enter a new password and save the changes. 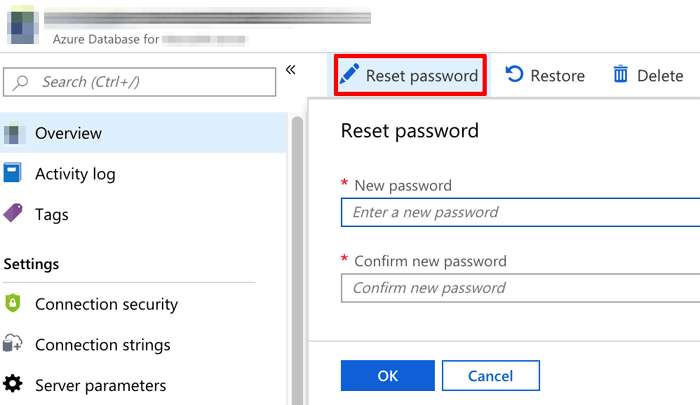 The master password for the selected database instance will be modified and you should now be able to access the database server with the new password.